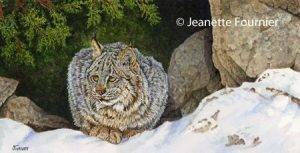 I recently learned two of my paintings were accepted into the annual North East Watercolor Society member exhibition to be held in the Orange Hall Gallery at the SUNY Orange Community College in Middletown, New York. The show will be on exhibit from February 3rd – March 18th, 2019 with a reception and awards on Sunday, March 3, 2019 from 1pm-4:15 pm. The gallery hours are Monday-Thursday 10:00 AM to 8:00 PM and Friday 9:00AM to 6:00pm. For directions, go to : SUNYORANGECCOLLEGE . 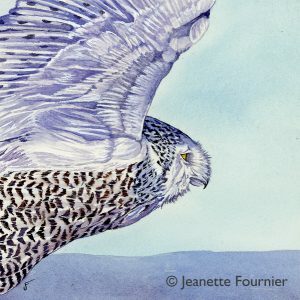 This entry was posted in Exhibitions and tagged animal art, bird art, canada lynx, NH Artist, owl art, vermont artist, watercolor art, white mountain artist. Bookmark the permalink.